Posted on August 19, 2014 by Kristin Posted in General Announcement	. 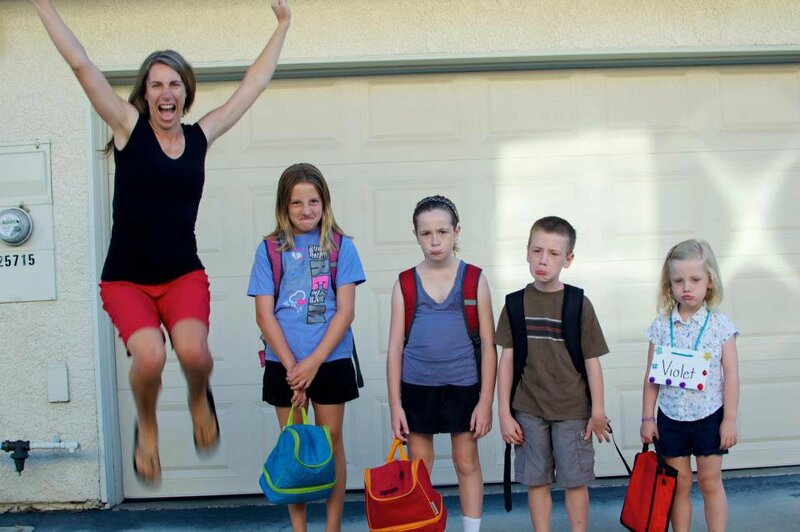 While you may be basking in your glory, your kids may be experiencing some back to school jitters. Let’s talk about some ways to help calm your kids’ nerves. First, be prepared. Attend your school’s open house and map out important areas like classrooms, lockers, restrooms, the cafeteria, etc. Your student will know exactly where to go. Being prepared can also mean with school supplies. Make sure your kids pack their bookbags the night before their classes begin. Sometimes just knowing you have everything you need ready and available can help calm their anxiety. Remember, it is everybody’s first day. Teachers are nervous. The new kids are nervous. These feelings are normal. Younger kids may need a little extra attention. 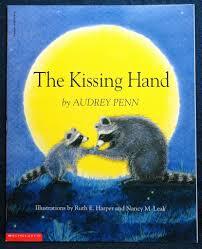 Try reading them The Kissing Hand by Audrey Penn. The story is about a mama raccoon who kisses her baby’s hand so he can carry her kiss with him all day. Older kids who have the jitters may enjoy reading First Day Jitters by Julie Dannenberg. 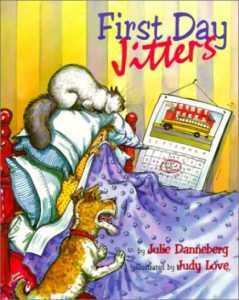 This story turns first day jitters into a big joke and reveals that the teacher is the one with the worst jitters. Don’t come to the door. Drop your kids off in front of the school. The longer you stay with them, the more you are endorsing the anxiety. Put a pick-me-up note in their pocket or lunchbox. Make them a special breakfast with some of their favorite foods or give them an extra treat in their lunchbox. Allow them to choose their own outfit, that way they can feel confident and comfortable. Figure out what they are nervous about and start small. For example, is your student afraid they will get lost in the long lunch lines or not have enough time to eat? Have them pack their lunch for the first few days until they get the feel of the cafeteria. Just remember, the jitters don’t last forever. In a few days, your kid will be back to normal: complaining about homework and wishing for a day off from school. What do you do to help ease back to school jitters? Tell us about it on Facebook! Tags: anxiety, back to school, backpack, bookbag, books, first day, first day of school, green, jitters, lunchbox, miraclean, nerves, nervous, scared, supplies, tips	.